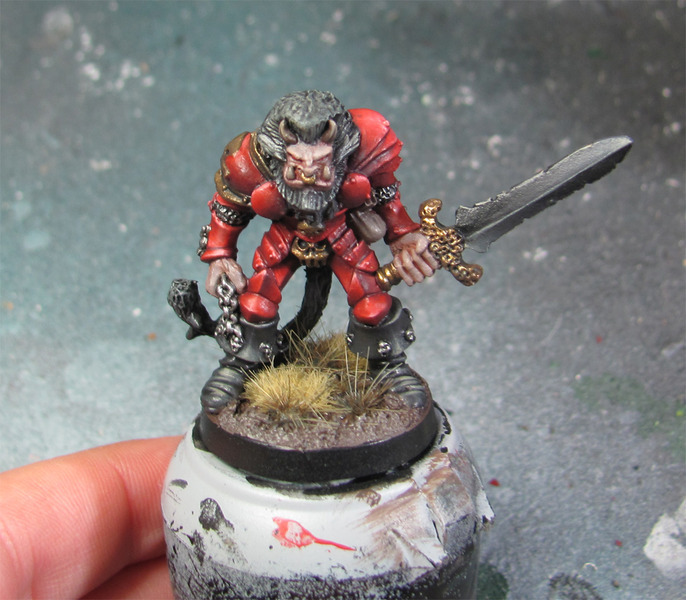 Below are the entries for the first OzPainters Challenge - Painting Red. You have three weeks to vote for your favourite from...now! 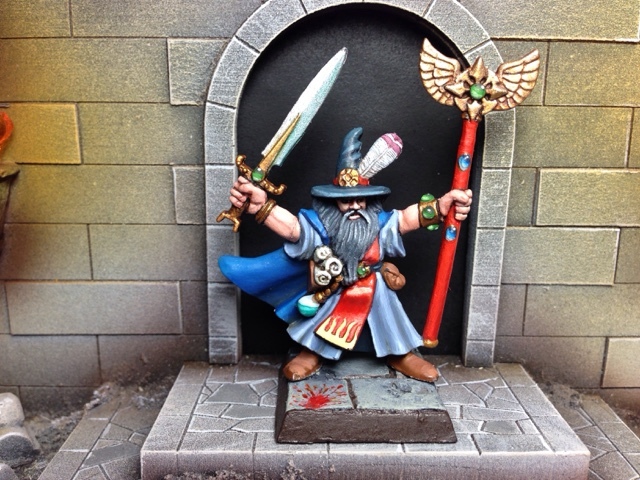 "Here's my entry, a Warhammer Quest wizard painted in a classic red-period GW colour scheme. 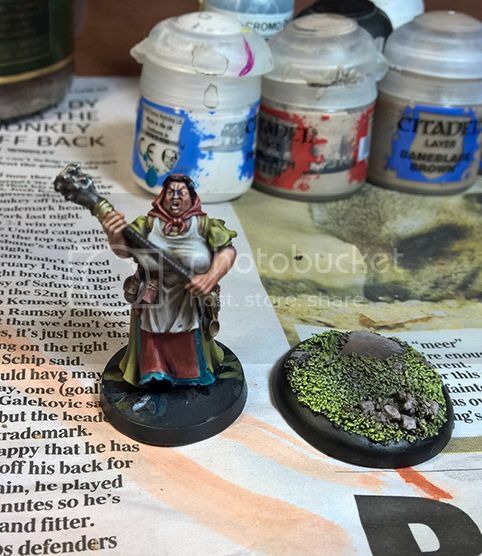 Classic 90s techniques and colours." 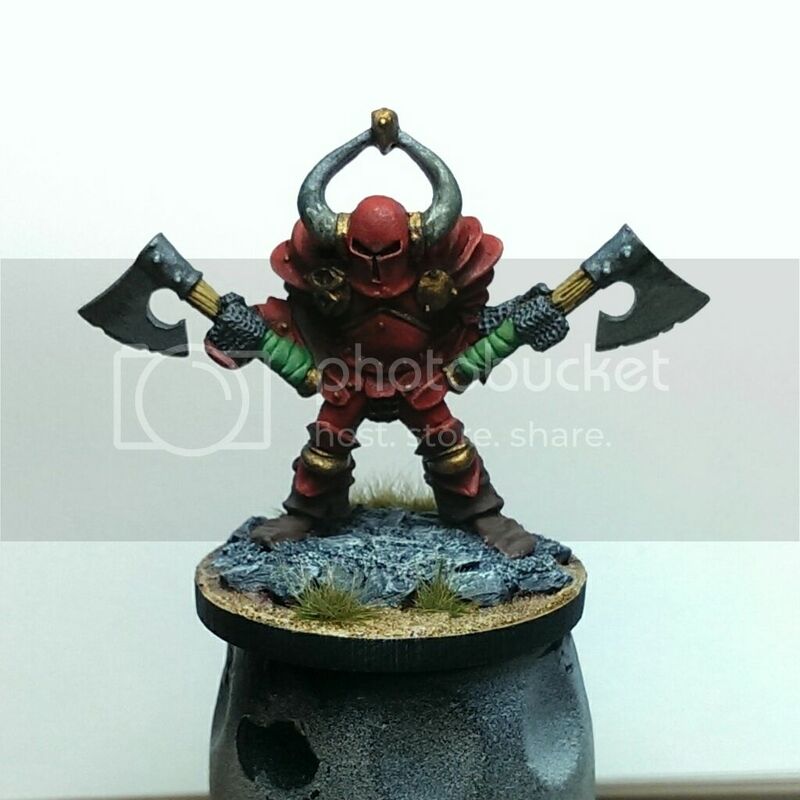 "description on how I painted it in my blog post: http://robjedi.blogspot.com.au/2015/07/ ... e-god.html"
"Red is a base of reaper carnage red, shade with clotted red, highlight with brilliant red, shade with bloodstain red. Highlight with 2 brilliant red, 2 pale saffron, 1 olive skin highlight. Wash with a mix of secret weapon drying blood and just red." 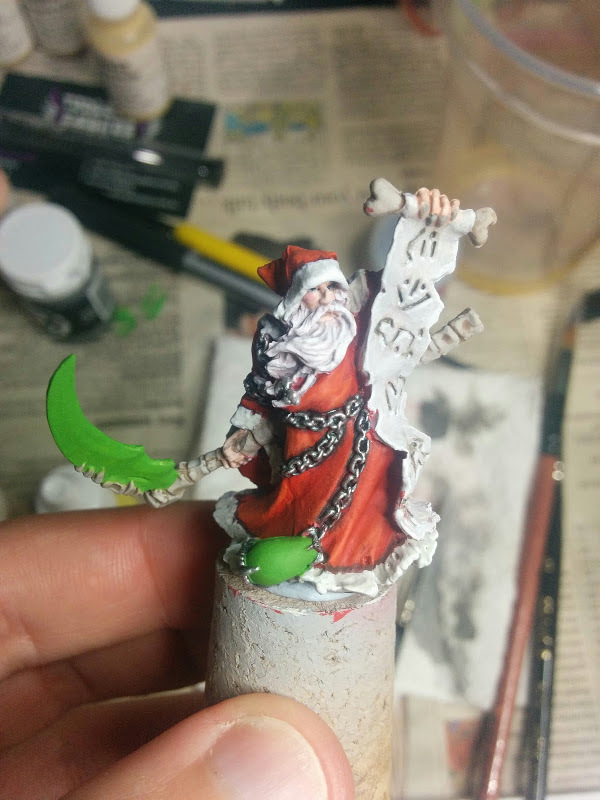 "Red was done by basecoating with Sanguine Base and highlighting up with Skorne Red and when that was pure Skorne Red consecutively adding more and more light flesh tone, till that was also pure. At this stage it was too pinkish, so I glazed with the P3 red ink. Shadows were then revisited and darkened with dark blues, blacks and purple. It was very shiny after all of that so it was attacked with Humbrol Matt Varnish which killed the shine. Still shiny but you should have seen it before. " 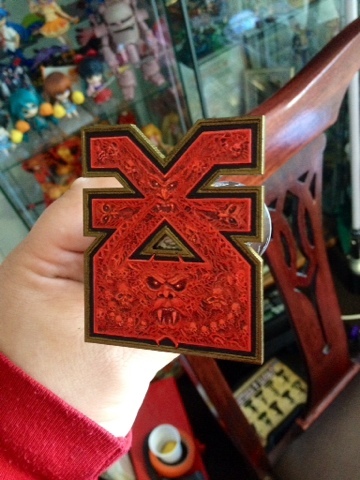 "This particular red is made from a base of Khorne Red & Skrag Brown which is then highlighted with Evil Sunz Scarlet, Balor Brown, Kislev Flesh & Pallid Wytch Flesh. It was then glazed with a light coat of Bloodletter with a little Seraphim Sepia mixed in." "as for my first post I forgot to tell you guys what I used for the reds all of them are air brushed (couldn't turn over this many with out it) starting with a Vallejo black primer then some highlights mostly from above of vallejo german red brown then I do the final highlight (just a dot where needed) with GW blood red or evil sunz scarlet what ever they call it this week and to get the different hues of red I blow over watered down wash of GW washes either agrax,sepia,blue,red or yellow etc depending on what tint I want , the ulans in this post are done the same but with no wash so I could have a really strong red and the red on the Outriders is done with a brush with a base of GW korn red then a wash of arax then highlight by progressively mixing evil suns into the base and thats pretty much it." Please note: poll has been updated as some entries were missed. My apologies to everyone for this. I'm planning on tracking this differently next time to try to avoid that happening again. First time running something in this format, so I made a mistake when collating the entries, and accidentally skipped some earlier ones. The poll has been edited so that you can change your votes if you like. Thanks for running these! Not sure how I'll go with the next one, but I enjoyed having something to work towards with this one! Congrats to Loup Garouis and Rob Jedi for getting a tied result! You are both winners! I'll be in touch soon to get your ideas for third comp.